We all have our guilty pleasures, don't we? Sugary, fatty foods, reality television, trashy romance novels. We all indulge, and there's nothing wrong with that. Luckily for us though, Chicago has some of the most satisfying guilty pleasures out there that surprisingly lack a lot of guilt (or at least are well worth it!). When you're craving something sweet, something greasy or something hearty, even if your diet should object, then dining at Papa Ray's Pizza and Wings in Chicago can satisfy that. Pizza is a signature dish that puts the Windy City on the world’s map of great foods. And you shouldn't visit (or live) here without a favorite spot for your slice of za. Don’t let your guilt get in the way of you taking advantage of some of the best things that Chicago has to offer! 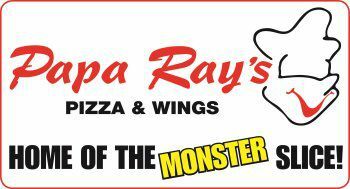 At Papa Ray's Pizza and Wings, we have many options to sink your teeth into. Click here to view our menu.